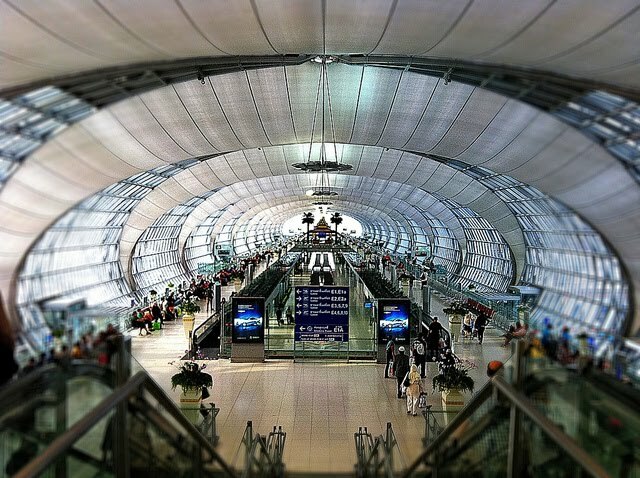 Suvarnabhumi Airport opened in 2006 is the world's 4th largest airport building, covering half a million square meters and catering to 48 million passengers. 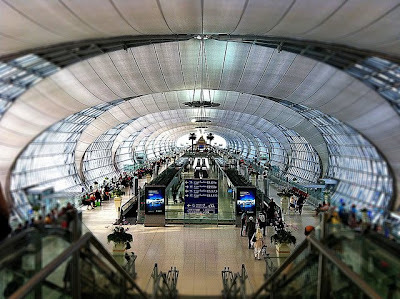 I counted 50 passport control desks on arrival. Returning to CDG Paris at 6.00am hundreds of passengers waited at 7 open passport control desks and two mal-functioning biometric control gates. The Air France Bus ticket distributors were all 'en panne'... Bienvenu en Europe.